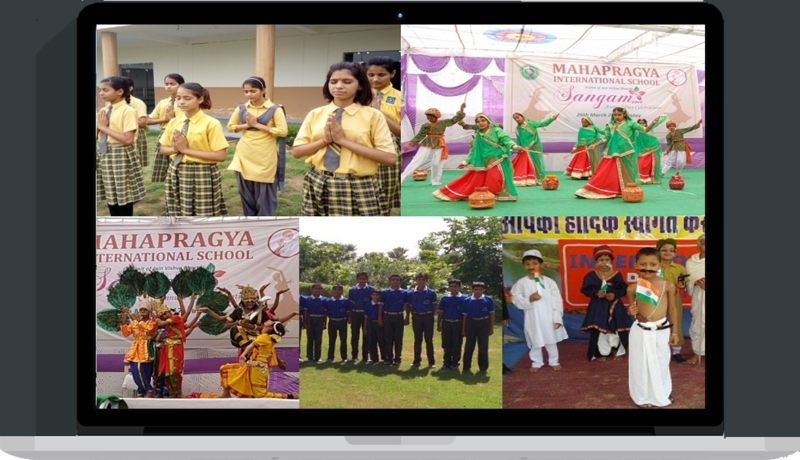 Mahapragya International School, Tamkor was inaugurated on the 12th of July 2007 on the auspicious occasion of Pragya Diwas (The birthday of Acharya Mahapragya ji). Tamkor is the birthplace of the great visionary saint Acharya Mahapragya ji. It is a small village which is under-developed and does not have proper infrastructure in terms of roads and rails. There is a scarcity of drinking water and power supply. There is also no English medium school. Therefore, with the aim of rural development, we have started the “Jain Vishva Bharati” NGO school project because education provides the foundation for learning and eliminates the darkness of illiteracy. Education is also the seed of progress, prosperity and happiness. Someone rightly remarked, “Spread light where darkness is the deepest and spread education where illiteracy is the highest. School follows standard procedure for admission. The School Prospectus along with the registration form is available at the school office on all working days during working hours. All children are required to take an admission test on a date notified by the school office. Our school trains the students in yoga and meditation which help them improve their personality in a holistic way. Besides prayer, morning assembly at Mahapragya International School is very colorful and is a great learning experience. Morning assembly is conducted class wise with planned content for each age group so as to bring out the best in every child. Let us serve you with the effective, delightful and best education.